iBounce Rentals is family owned and operated with more than 20 years experience in the party rental business. We are licensed and insured and serve all of Memphis/Shelby County, Desoto County and beyond. 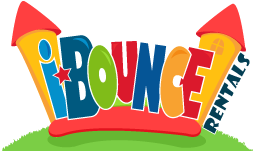 We have an extensive selection of bounce houses, slides, water slides, bounce and slide combos, obstacles, dunk tanks, concessions and more. We have what you need for your next home party, school, church, or corporate event! "We had the best experience with iBounce today! We can't wait to use iBounce again!" - Kevin Y. "Working with iBounce Rentals is a breeze! They are always prompt and extremely easy to work with and they have a great selection of inflatables for any event needed. We rent from iBounce for numerous church events and they always put the customer first. Thank you iBounce!!" ~Wendy J.